Cherry tomatoes — 3 pieces. Sesame paste — 2 h. L.
To prepare the first chopped pepper, celery and cucumber sticks. Attention! To get a nice rolls, try to cut wedges of the same size and length. Bean sprouts need to add salt and pour over boiling water. 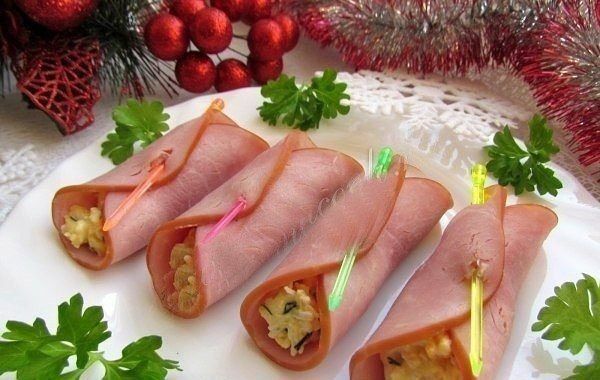 Tomatoes cut in half and the pork into thin strips. The next step — preparing pork. It must be dipped in boiling water and keep in water until until it changes color. Attention! That would not digest the pork, keep the tip of her during the descent into the boiling water. So you can quickly get it. 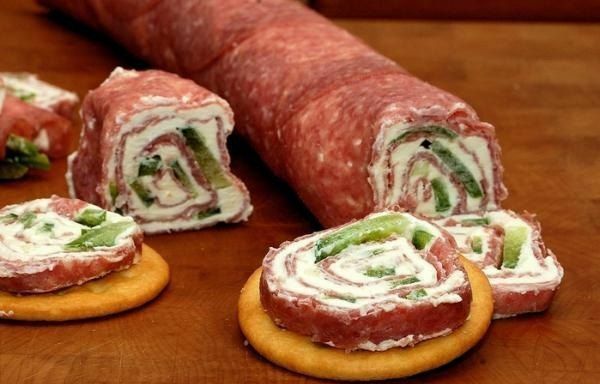 The next step — wrapped in pieces of pork produced vegetables. And the last stage — the preparation to serving. 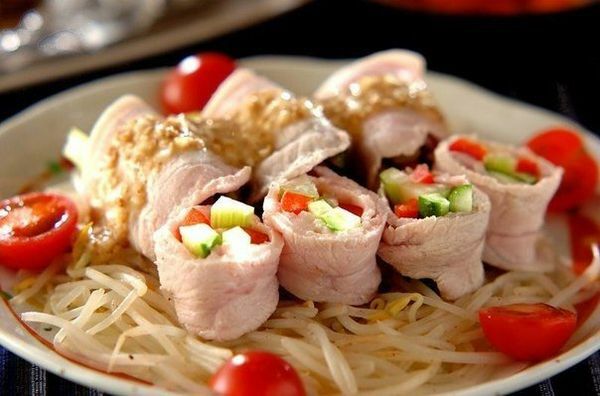 To do this you need to put on a plate rolls from pork, beans and garnish the dish tomatoes, cut in half. The dish can sprinkle white onion sauce and sesame paste. So rolls will be even tastier.